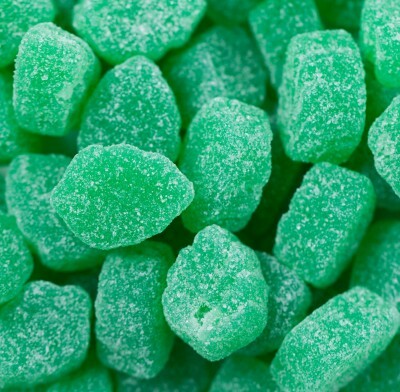 Spearmint Leaves from Sunrise Confections, deliciously chewy sugar coated candies in the shape and color of spearmint leaves. Perfect for any occasion. Sold in bulk, delivered in a 6 lb. bag.